Drama Re-release of Yasujiro Ozu's 1953 classic. Elderly patriarch Shukichi Hirayama and his wife Tomi make the arduous journey into the city to visit their eldest son Koichi, who lives in Tokyo with his family. Koichi, his brother Keizo and older sister Shige try to set aside time to see their parents but all are wrapped up in their own busy lives. Eventually, the grandparents return home but fate cruelly intervenes to reunite the family once more. 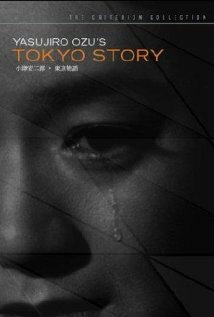 Tokyo Story is not currently showing anywhere.